Founded in late 1995 in Lyon, France, the association Les Inattendus questions the links woven within the city between the social and cultural realities and their subsequent visual and sound representations. Les Inattendus promotes richness and diversity of contemporary creation by supporting resolutely singular cinematographic gestures that stand out. 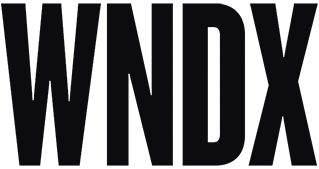 This program, curated by Marjorie Couderc, represents a sort of “best of” collection, featuring works which have screened in the past few years at the festival. 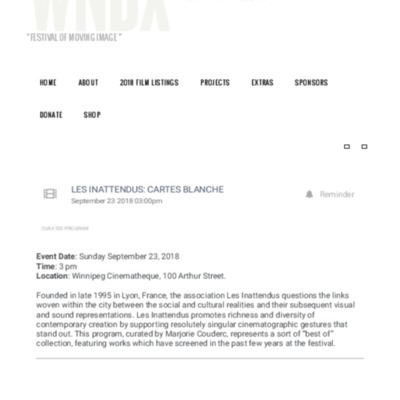 “"Lumenité" in the carte blanche Les Inattendus at the WNDX Festival of Moving Image, Winnipeg,” Pierre Yves Clouin, accessed April 23, 2019, http://pierreyvesclouin.fr/items/show/1127.